“GUSANITOS“ means „larvas“, i.e. butterfly larvas. 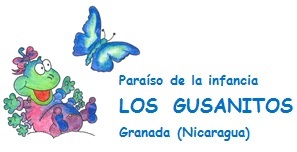 As symbolized in our logo, we are accomodating the “GUSANITOS“, protecting and guarding them so we can release them into the world of adulthood one day as wonderful butterflies. 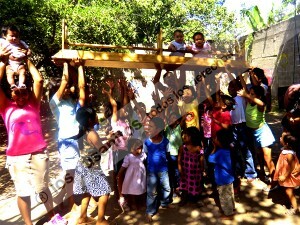 In our two daycare centres we are taking care of 100 girls and boys that are between two months and 15 years old. All of the children are living in the socially unsave and sidelined neighbourhoods in our area. Mistreatments and abuse of all kinds are “normal“ for our children. They were born into this atmosphere and learned to survive in it. Despite their young lives every sinlge one of our children has a tragic story to bear on its fragile shoulders. Nevertheless – or maybe because of that – we love and respect our children according to the motto: TOGETHER IT’S EASIER TO BEAR.